﻿ Wild strawberries Arzagot: producer of wild strawberries in Spain Arzagot S.L. Specialist Producers of Woodland Strawberries. 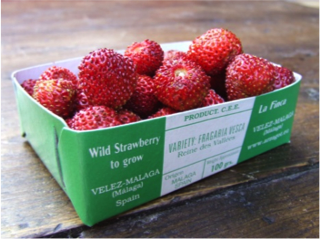 For over 50 years Claude ARZAGOT and his team have worked to produce the finest quality Wild Strawberries. Our Woodland Strawberries are raised naturally, in the open ground on a wheat straw mulch, in the fresh air. The fruit ripens under the Andalusian sun from October to late June. From March onwards, Malaga’s early spring imparts our strawberries with a uniquely special aroma and flavour that meets the high expectations of our prestigious clients. On each website page you can discover and share our passion for Woodland Strawberries. Please do not hesitate to contact us by e-mail or by telephone. We will be pleased to answer any questions that you may have. Claude Arzagot and his team.